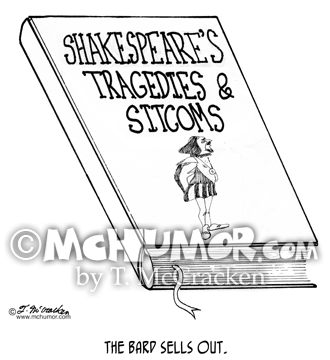 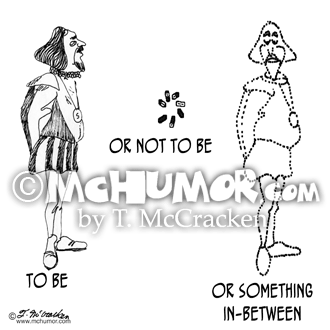 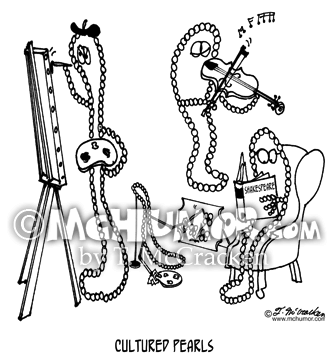 Shakespeare Cartoon 1106: Shakespeare saying, "To be or not to be or something in-between," as he fades out. 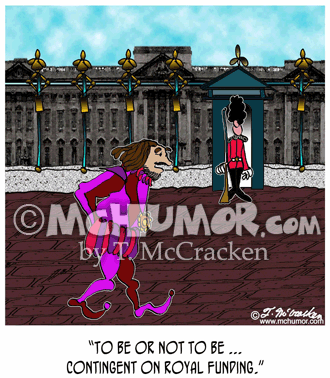 Shakespeare Cartoon 1400: Shakespeare walking past the palace says, "To be or not to be . 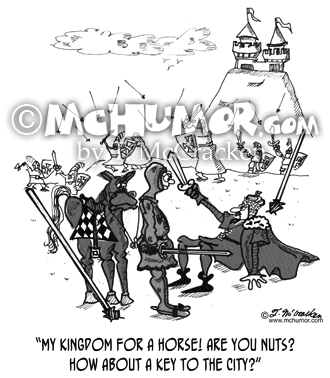 . . contingent on royal funding." 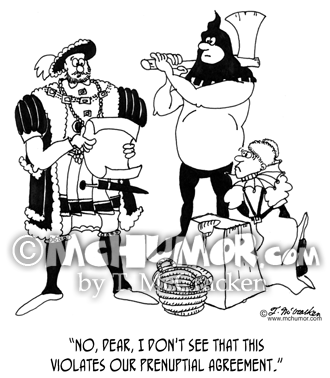 History Cartoon 5304: Henry VIII looking over a document as one of his wives kneels by the chopping block saying, "No, dear, I don't see that this violates our prenuptial agreement." 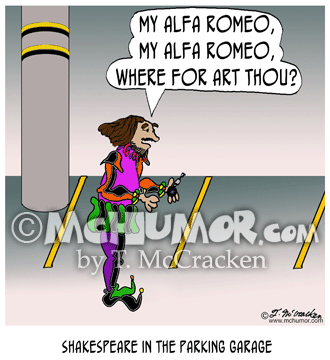 Shakespeare Cartoon 5356: A man saying, "I can always tell when it's about to rain because my toes act up." 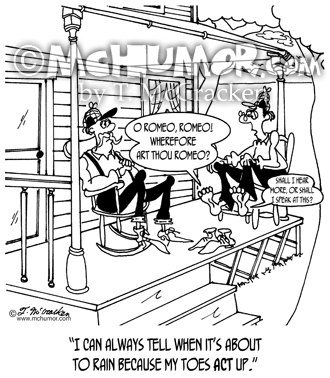 His feet are saying: "O Romeo, Romeo! 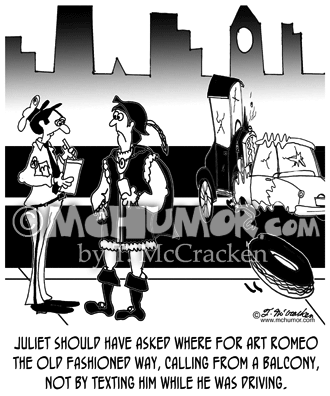 Wherefore art thou Romeo?" 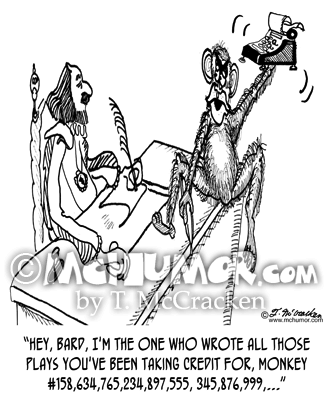 and "Shall I hear more, or shall I speak at this?"